Fiber. 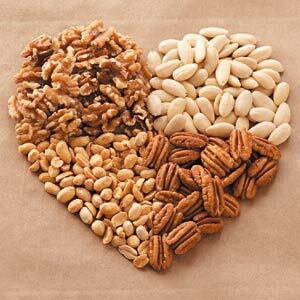 All nuts contain fiber, which helps lower your cholesterol. Fiber makes you feel full, so you eat less. Fiber is also thought to play a role in preventing diabetes. So eat more nuts, and Enjoy!